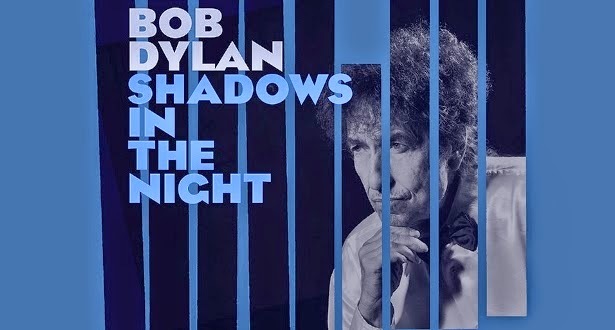 Bob Dylan's been making fans wonder, laugh, and frown for over half a century, and just when you question his remaining desire to astound, he delivers a breathtaking work like Shadows in the Night, an album of standards that had all previously been recorded by Frank Sinatra. Shadows joins “Love & Theft” and Christmas in the Heart as Dylan's twenty-first century masterpieces (most fans wouldn't rate the Christmas album that highly, but that's a question for another time). To me, an album is a masterpiece if the whole adds up to more than the sum of its parts – if it's hard to listen to individual songs out of order, if I'm compelled to listen to it from start to end, repeatedly. Shadows satisfies that criterion. Although an album of standards, Dylan makes the songs his own, and Shadows is a Dylan album through and through. These are songs of heartbreak, loss, regret, pining, and death, themes that Dylan has mined throughout his career. Some words or themes come up in song after song: the moon, the sun (or is it Son? ), darkness/night, and dreams. The arrangements are Leonard Cohen spare, and there's an emphasis on the singing, which is being praised as the best of Dylan's career. Dylan inhabits these songs and enunciates like never before. This is literally the first Dylan album where I understood every word the first time around and didn't have to listen intently or consult outside sources to figure out some of the lyrics. There is, for me at least, a noticeable dearth of “listen to how he sings [such and such]” moments, and I think it's because what might make for Dylan's “best” traditional voice isn't the same thing that makes him my favorite singer of all time – that unique expressiveness that is often derided by the mainstream. This is Dylan singing conventionally, and ironically, one of the few unconventional “listen to how he sings” moments occurs on the word “conventional” in “Why Try to Change Me Now?” (a song that, even though it wasn't penned by Bob, might as well have been, as it could serve as his anthem). It's a strange thing to say about an album of covers, but Dylan once again seems to be mixing up God and women. Of the ten songs on the album, eight of them, at least on the surface, seem to be about lost love. The album's two stand-out tracks (“Lucky Old Sun” and “Stay with Me”), however, appear to be prayers. (Also from the AARP interview: “I like spiritual songs. They struck me as truthful and serious. They brought me down to earth and they lifted me up all in the same moment.”) With that in mind, I wonder whether God and women get confused within the songs – as presented specifically on this album -- themselves. In “I'm a Fool to Want You,” the narrator complains about “a love that's there for others too,” which could be addressed to God. There's also something about sharing a “kiss that the Devil has known,” which could be viewed as a reference to Lucifer before the fall. The Devil is referred to twice on Shadows – first on the opening track, and then on the closing one. The second song, “The Night We Called it a Day” is also about lost love and contains the first references to the night, dark, moon and sun/Son. In terms of spirituality, there's a line about not having the heart left to pray. I wasn't immediately taken by “Called it a Day,” but there are now times I can't get it out of my head. One of the two strongest performances on the album, “Stay With Me,” comes next (the opening chord sounds like the beginning of “Cold Irons Bound,” another Time Out of Mind tune). You can hear Dylan breathe before he starts singing, which adds to the intimacy of the production, and what follows is something that could have been pulled directly from the album Saved. When I hear Dylan sing “sinned,” I know he has lived this song. “Stay With Me” seems like a direct prayer to God, but Dylan confuses God with women, and this song could just as easily be viewed as pining for an old love, Shadows's leitmotif. “Stay With Me” was the clear highlight of Dylan's last tour, closing each concert, and from that perspective, it might even be directed to his fans. “Why Try to Change Me Now?” is another song that could be directed to various parties, including his fans. And though it's not by Bob, it seems more autobiographical than anything Bob's written save references to the hills of Duluth. According to New York Times critic, Jon Pareles, it doesn't work, but it's one of my favorite songs on the album. Pareles also doesn't care for “Some Enchanted Evening,” which is another one of my favorites. This song, unlike most of the others, is full of “listen to how he sings” moments (like the way he sings “own”). The final words, “once you have found her, never let her go,” recall “I Threw it All Away,” and emphasize that this album is also a journey through Dylan's past. “Where are You?” is yet one more song that seems to be to a woman but sounds prayerful and could just as easily be a question to God. There are more echoes of the past (Street Legal) in, “When I gave you my love, was it all in vain?” There are also two references to “where is my happy ending?” which meant one thing when the song was originally written but has taken on a more risque definition in the twenty-first century. A lyric's meaning is not static, and as playful as Dylan can be, I'm certain he's aware of the modern connotations. “What'll I Do?” is the third title on the album that's phrased as a question. There is much pining on Shadows, which is confronted directly in the astonishing closing song, “That Lucky Old Sun.” (Again, it could be heard as “Son.”) “Good Lord, above, can't you see I'm pining?” asks the song's narrator, as he begs to be taken from this world to a Heavenly Paradise. The performance is enough to move one to tears and there are already fans scheduling this track for their funerals. It's easily the best thing on an album I've described as a masterpiece and is one of Dylan's finest studio performances of all time. Who's going to release a better album than Shadows this year? Nobody. It's a Grammy-worthy effort but I could see it being passed over completely at award time. That's OK. Dylan is best left to the ages. Fantastic review. Excellent insights. How grateful to begin the new year with another Dylan masterpiece to cherish. Perhaps I need to revisit the Christmas album. Never took that one seriously. Thank you, Steve! I'm definitely in a minority about the Christmas album, but I find it magical. I look forward to listening to it daily, Thanksgiving through January 1. Great review. Just this last season, I gave "Christmas" another listen, and this time to my surprise I found it to have aged very well and it's now a seasonal favorite. I'm also glad to find others that appreciate as well. I'm still getting to know "Shadows", but I already see it as a masterpiece, truly delightful. Thank you, just joe. Glad to know you appreciate the Christmas album, too. David - this is the best review of Shadows that I read so far. I thought you hit the key meanings more so than the focus on this being a "covers" album. I haven't been able to listen to anything else since Tuesday. A minor quibble would have been to hear Dylan sing Ebb Tide, but that's just me. I listened to Brian Wilson's version of Lucky Old Sun and then Crosby's and while I like them both, didn't get the sense of the song being a spiritual one and there is hope for the afterlife as I did with Dylan's. Like I said, this album has entranced me and floored me all week. I'm amazed at Dylan's phrasing and mesmerized by the way Donny Herron's pedal steel adds to the flavors the lyrics refer to. Thanks for your review.